Next race up for the Season was the British Sprint Champs. 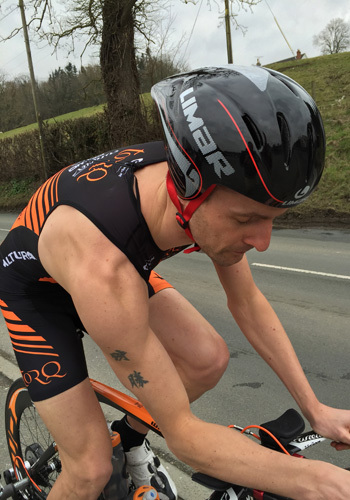 After 2 wins at Chirk and Harlech, I was looking to have a good race in a competitive field – before I start to move up the distance towards my main goals at the 70.3 distance. The Champs this year were based at St Neots, Cambridgeshire and were also a qualifier for the 2015 World Champs and the 2016 European Champs – so I knew it was going to be a strong field. Mid May and without much warm weather yet, the water temperature was a brisk 13 degrees in the River Ouse. I tried to get in early and do a good warm up so I could acclimatise to the cold water. The swim went without any issues and I came out in about 3rd/4th place and was ready to start to make my move on the bike, as I always try and do. It became apparent very early on that it wasn’t going to be a great day, straight away power was down on my usual. I tried to think positively and just went as hard as I could, expecting to get caught by other riders. It didn’t happen, I managed to maintain 3rd, definitely not making up any ground on the leaders, but not losing anytime from behind, so was happy to get off the bike and be in a podium position. The run felt exactly the same as the bike, I was able to hold a reasonable pace, but again not making any ground up on the first two, but happy I had enough of a lead on 4th to hold my position. So on a day where I felt very flat, I managed a 3rd place – so happy that I stuck with it, and gave what I had on the day. I am now starting to think about the longer Half Ironman Distances and have 5 weeks training ahead of IM Staffordshire 70.3. 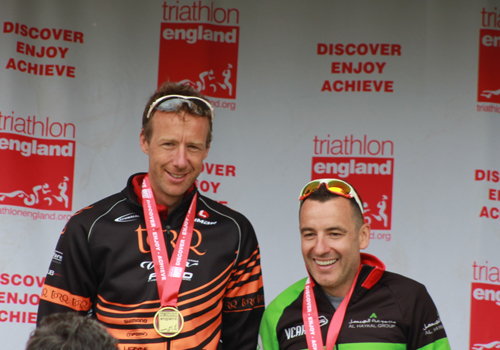 I am aiming to get a qualifying slot for the World 70.3 Champs later in the year.